Eschatos are a band from Latvia that has been featured before in this zine and plays a progressive form of black metal and this is a review of their self released 2015 album "The Grand Noir". Avant garde sounds start off the album along with some experimental and ambient elements and you can also hear melodic guitar leads in the background and some of the drum beats have a tribal feeling to them and on the second track the musi9c starts going into more of a progressive black metal direction along with some grim screams. Elements of thrash can be heard quite a bit throughout the recording and the fast parts also bring s in more of a raw style of black metal along with a decent amount of blast beats and the songs also bring in a great mixture of slow, mid paced and fast parts and spoken word parts can be heard in some of the songs. A couple of the tracks are long and epic in length and some of the riffs also bring in a decent amount of melody and there is also a brief use of clean singing and all of the musical instruments have a very powerful sound to them and the cd version closes with a cover of Silencer['s "Sterile Nails And Thunderbowles" and it sounds different from the original and changed around a bit to fit in more with the bands musical style. 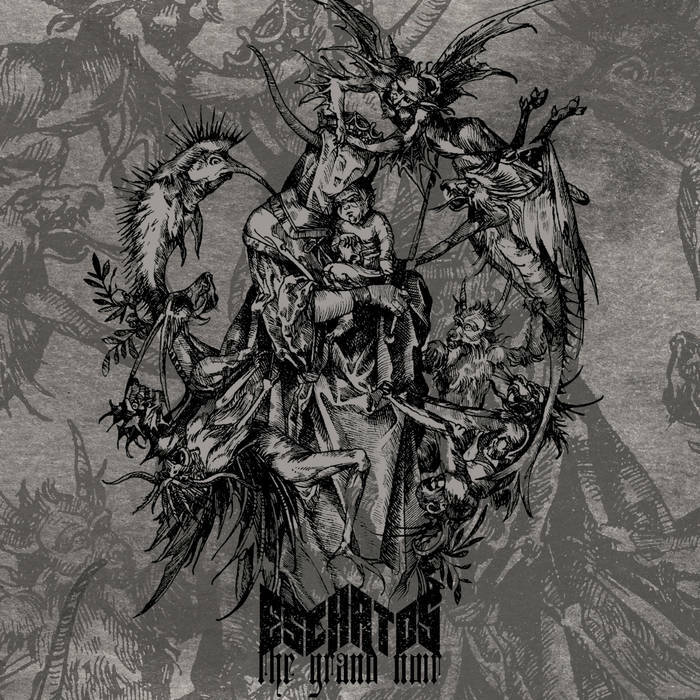 Eschatos creates a black metal album that is very progressive and also displays a great amount of talent and skills as musicians, the production sounds very powerful for being a self released recording while the lyrics cover philosophical themes. 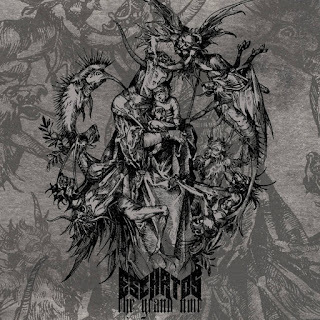 In my opinion this is another great sounding recording from Eschatos and if you are a fan of progressive black metal, you should check out this album. RECOMMENDED TRACKS INCLUDE "In Whole Alone Is Good And Elsewhere Nowhere" and "Feast Of A Thousand Beasts". 8 out of 10.